Here's a sneek peek at giclee prints of my art that will be getting framed for my space in the Zapow Gallery in Asheville, NC. 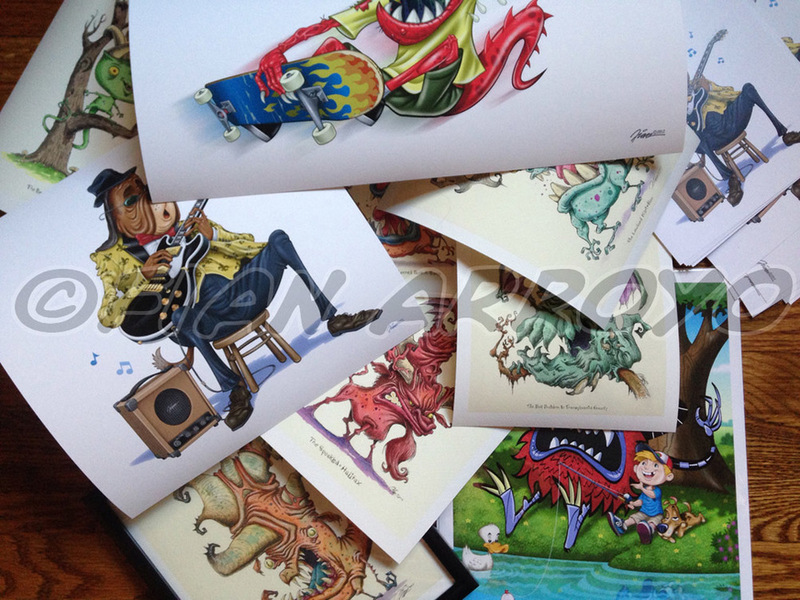 I've got some prints of my digital humorous illustration work as well as prints of my pen and ink and watercolor monster characters for my "Field Study" collection. I will be getting the framed work and prints to sell into the gallery this week. I'm really excited about this new road in my career.